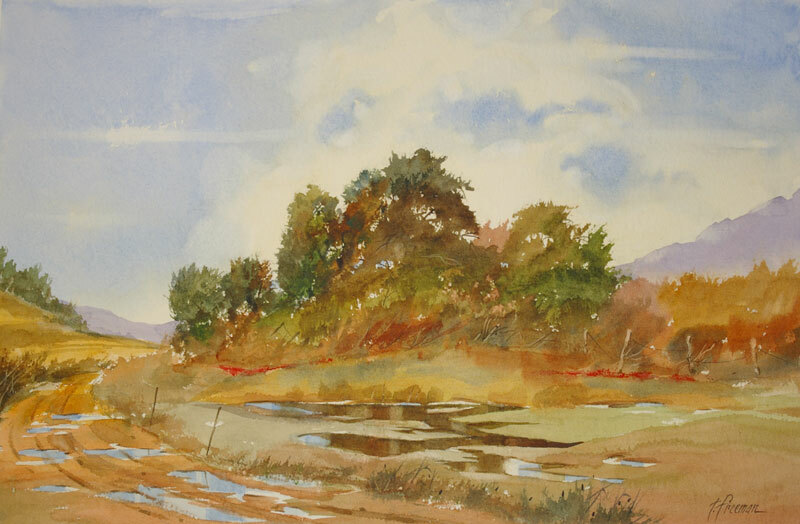 Thomas Freeman Original Watercolor Painting: "Summer Showers"
A typical rural scene after a big summer shower. Idle water reflecting the sky and trees – and a muddy road. The sky was painted very wet and the trees with dry brush (less water).